Welcome to Big Ridge Mountain Resort of Gatlinburg located in the foothills of the Smoky Mountains in Eastern, Tennessee. These cabins are between one and three bedrooms and can sleep up to six adults comfortably. Amenities include an in-cabin game room, wifi, community pool, large outdoor decks considering the gorgeous forest of the area, wifi, and in-cabin fireplace. When arriving at the cabin guest will immediately be blown away by the beauty and serenity of the surrounding forestry and wildlife. There are a variety of nature trails to hike all around the resort area. After taking in the setting and exploring the nature trails around the resort area head into the community pool and take a dip to cool off from the long days' hike. If after walking the trails near the resort area, you still have a thirst for nature consider heading up the road to the world-renowned Smoky Mountain National Park. If you are still thirsting to be in the wild after all of that, hire a guide and experience some of the best freshwater fishing in the country. Guest must know to catch large trout in the Smoky Mountain National Park waters! 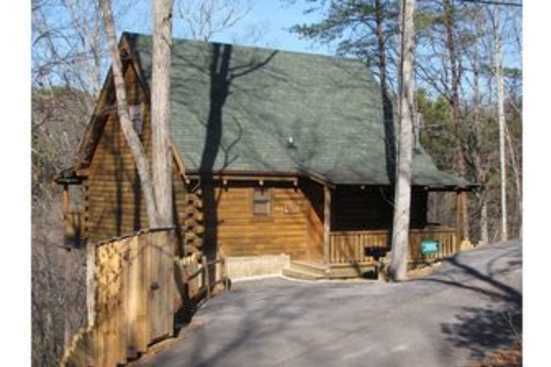 SmokyMountainsByOwners.com is the only place to find, plan, and book your Smoky Mountain getaway. From a variety of trails surround the cabin areas to a variety of guided tours through the park, Big Ridge Mountain Resort, Gatlinburg is the perfect place for vacationers of all ages to come and experience the serenity of nature.